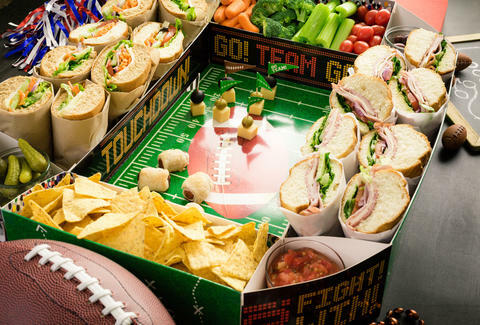 Even if your Super Bowl party is packed with superfans of both teams, there's at least one thing that can unite the whole room (and no, it's not Justin Timberlake). We're, of course, referring to the food. A perfect snack lineup can work wonders to help keep the peace. And while most people have their own go-to game day grub, it turns out that the sort of Super Bowl spread you'll be feasting on this Sunday may have a lot to do with the part of the country you're in. 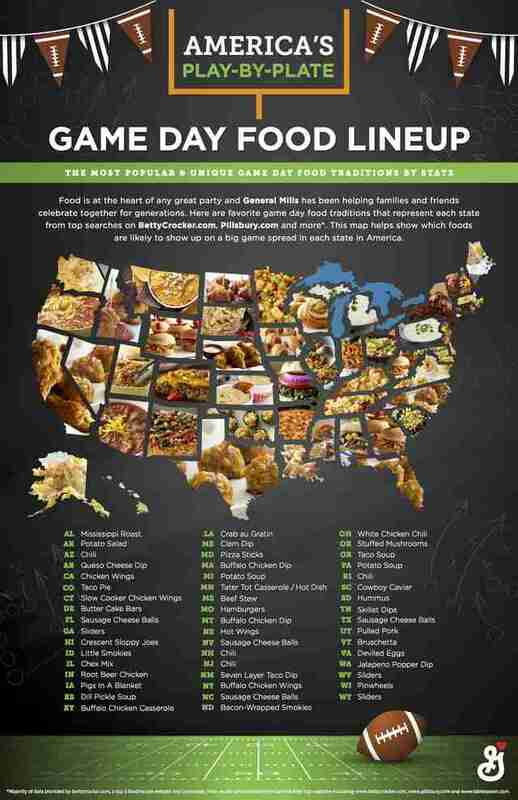 That's at least according to a new map that identifies each state's favorite finger food (or dip, casserole, and otherwise delicious Super Bowl party-appropriate comfort food). This revealing look at our regional faves was created by a research team at General Mills, who compiled a bunch of recipe search data from popular sites like BettyCrocker.com, Pillsbury.com, and Tablespoon.com. Specifically, they looked into both the most popular and unique search trends by state.